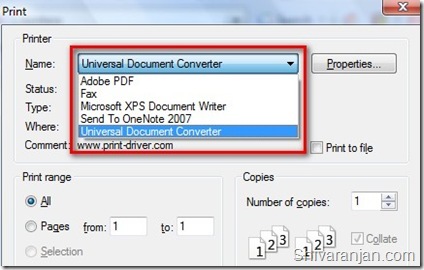 Universal Document Converter (UDC) is software that can converts documents to Adobe PDF or graphical formats. If you are into a business which deals with web publishing, frequent document sharing and publishing then UDC is going to save tons of time and money for you. How does Universal Document Converter work? UDC makes of virtual printing technology where by it installs itself as a virtual printer in your computer. 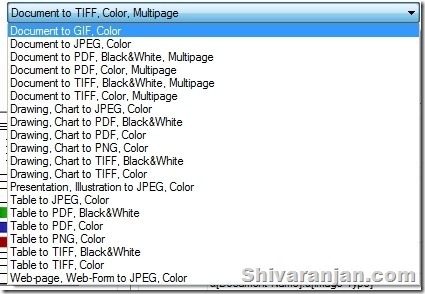 When ever you want to convert a document to any format all you have to do is open the document and print it. 1. Support for all popular file formats: UDC supports Adobe PDF and graphical formats such as TIFF, JPEG, PNG, PCX, DCX, GIF or BMP all these formats are very popular and are used commonly. 2. Virtual Printing Technology: Since the UDC uses the virtual printing technology it can be used to convert any document to the desired format. 3. Light on System resources: The UDC uses very low system resources hence can be installed on old computers as well and can be used efficiently. 4. Predefined options for quick conversion: The UDC has predefined options for various contents like charts, drawings, tables etc so that you can quickly select the setting and convert your file. The most noteworthy feature is that when you use the predefined options it will automatically crop the margins of graphical copies of tables and diagrams. 5. Option for Black and White document conversion: This is the best feature that I loved about this product as it can convert any of your documents to Black and white format. The quality of the document that we tried to produce was also of very good quality. 6. 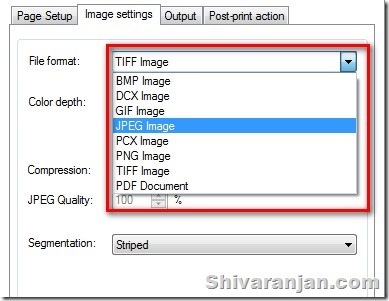 Print Document in various Page sizes: The output files that you intend to produce can be produced in various page sizes as per your requirement, this is similar to the page setup functionality that you have in your regular printer. 7. 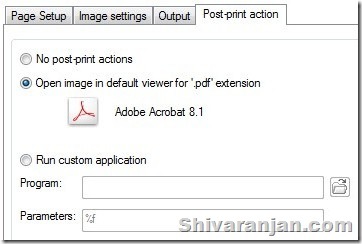 Post print Actions: You can run custom programs after the printing is complete. This is one particular feature that I have not seen in the competing products against UDC. You can get Universal Document Converter (UDC) for USD $69. At USD $69 is a good value for money software that your business may benefit, the good part is they offer huge discounts for multiple licenses. There are many free as well commercial software that are available but they don’t offer all the features that UDC offers in one single package. Their website contains all the tutorials that are required to use the software in the step by step instructions which any user would be able to use here is an example. You can get the demo version from here.